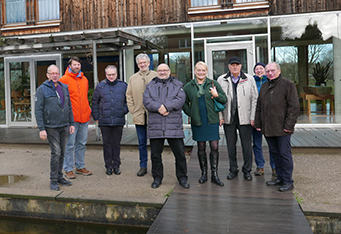 While planning a new Office for the allotment federation in Luxembourg a delegation visited the State school and the office of the allotment federation of Westphalia-Lippe on 13th and 14th January 2019. 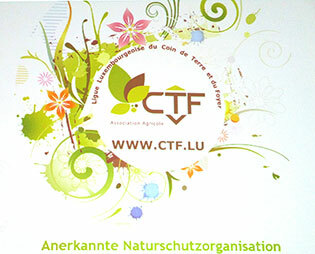 At the occasion of the State horticultural exhibition in Lünen in 1996 a centre was created in the middle of a large park. This centre unites educational and administrative functions. The building itself received a prize for its architecture. It is surrounded by several educative plots, so that the allotment gardeners can also have practical courses. 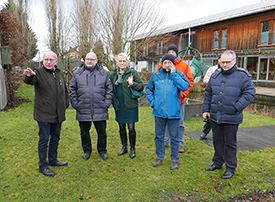 We had the opportunity to get detailed information on the creation of the centre and could exchange with President Wilhelm Spieß and director Werner Heidemann on the problems that occurred during this creation. 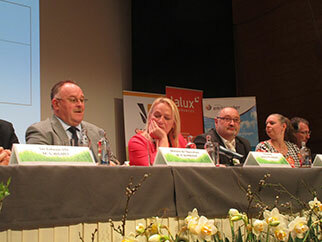 We were impressed both by this equipment and by the particularly hearty hospitality of our colleagues in Lünen. This type of salad is often served in winter as a delicious appetiser - either alone or together with bits of bacon and egg: it's called lamb's lettuce. This salad is grown and harvested outdoors mainly from October till the end of February. Lamb's lettuce is very cold-tolerant. It also has high vitamin C and iron content. Gourmets speak of the salad's nutty aroma, which is due to its high levels of essential oils. Lamb's lettuce is an obliging and very straightforward vegetable. As long as you bring it out in a sunny spot, it thrives in almost every type of soil. Also it requires little in terms of nutrients and is therefore a perfect postcultivation in late autumn to finish the garden year. Planting may be done in rows or as single plants over an area. However, we recommend row sowing, as it is easier to care for. The plants should always be kept free of weeds. When laying out the plants, make sure that there is 10 to 15 cm of space between the rows, so that the lettuce can develop optimally. When sowing, we recommend making a small furrow with a stick in the ground about 1 centimetre deep, then spreading the seeds evenly in the furrow. After sowing, gently press against the soil with a board, as the seeds need to have good soil contact. Lamb's lettuce seeds take about three to four weeks to germinate. During this period, make sure that the young seedlings do not dry out. Due to heavier dews in autumn, the plants normally have enough water available. Despite this, you should carefully check humidity around the plants. If you want to be on the safe side, install an evaporation protection such as a meshed ground cover or perforated foil. But again, checking the plants regularly is important. If the plants get too wet, there is a risk of fungal diseases. Fertilisation is usually not necessary for this crop. We take care to avoid harvesting when frost is present, because doing so makes lamb's lettuce soggy very quickly. By using ground protection, you can still harvest in light frost. 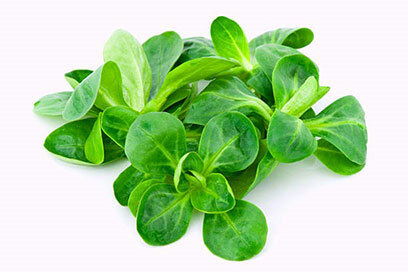 To stop lamb's lettuce unnecessarily converting nitrate into nitrite, it is advisable to harvest it only in the evening, so that it can make use of the full sun during the day. Cut the lettuce plants just above the root with a knife, so that the leaves still hold together. The "Eist Uebst a Geméis" gardeners wish you a good and tasty harvest!